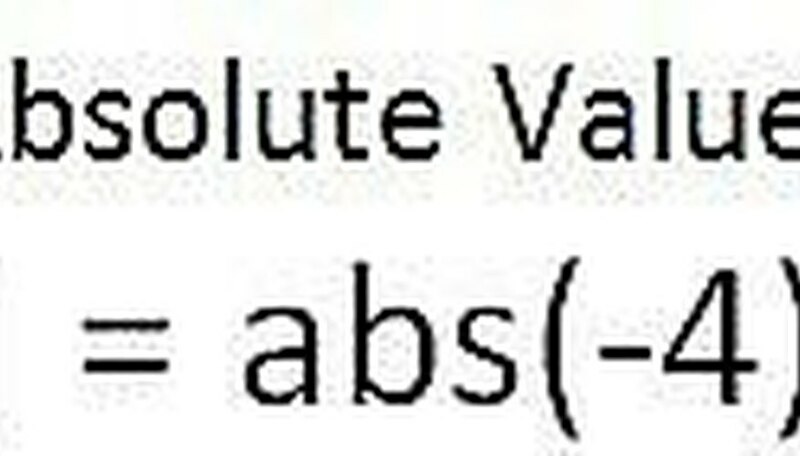 A common task in math is to compute what is called the absolute value of a given number. We typically use vertical bars around the number to notate this, as can be seen in the picture. We would read the left side of the equation as "the absolute value of -4." Computers and calculators often use the format "abs(x)" instead of the vertical bars to represent absolute value. This article will use that format since eHow doesn't allow the use of the vertical bar in articles. What we are really being asked is how far away the number is from zero on a number line. 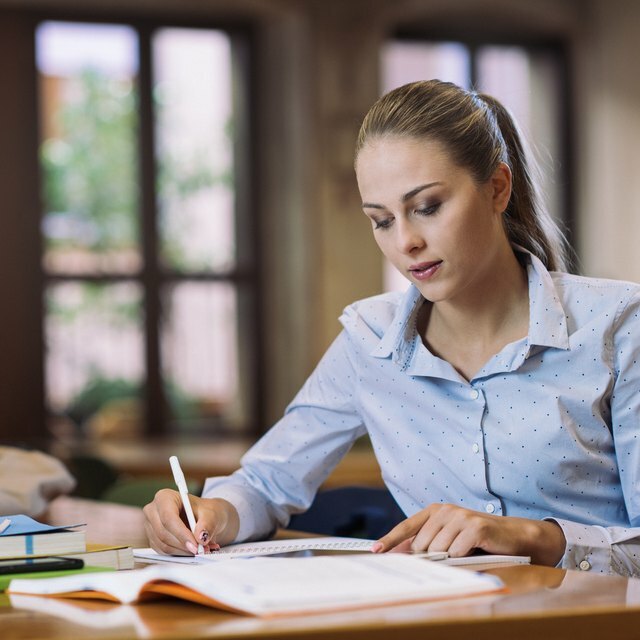 This is an extremely easy topic, which is typically introduced in middle school, but it does have more advanced applications in high school and college math. 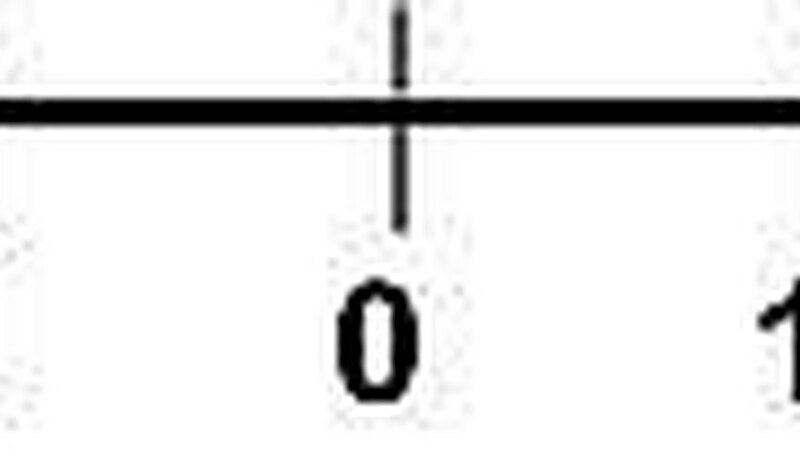 As mentioned in the introduction, the absolute value of a number is its distance from zero on a number line. Distances are always positive no matter which direction we go. We never say that we are driving negative five miles to the store. 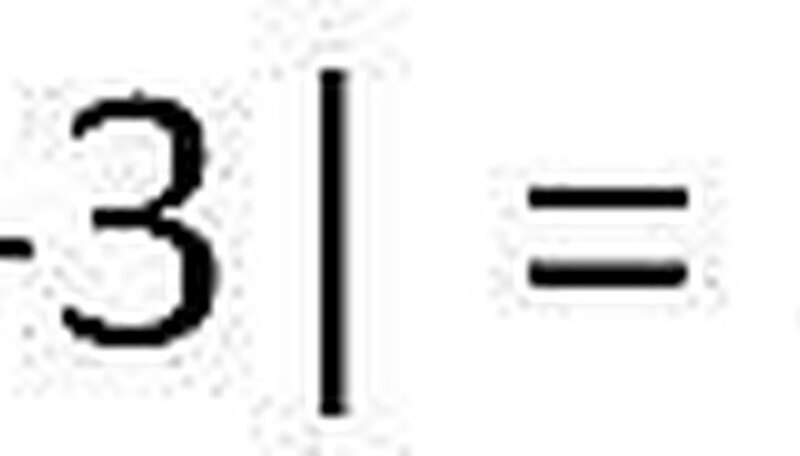 The absolute value of a number is simply the positive version of a number. If we are asked to compute abs(5), we just take note of the fact that 5 is five units away from 0 on a number line. We say that abs(5) = 5. "The absolute value of 5 is 5." As another example, if we are asked to compute abs(-3), we take note of the fact that -3 is 3 units away from 0. It happens to be on the left of 0 on a number line, but it's still 3 units away. We say that abs(-3) = 3. "The absolute value of -3 is 3." If our original number is negative, we just answer with the positive version of the number. Sometimes students get confused and think that absolute value tells us to change the sign of the number. That is not true. Look at the formula at left. It tells us that if the number is positive or 0, just leave it alone. That's the answer. If it's negative, your answer is the negative of that negative, which makes it positive. Remember: The answer to an absolute value problem is always positive. That is all there is to it on a basic level, and certainly in the lower grades this is all that students are expected to know. Sometimes students get annoyed at this, feeling that the matter is a joke, and an insult to their intelligence. While the task presented in this article is indeed very simple, absolute value plays a large role in later math, and is used in more complicated ways. To provide a bit of a preview, imagine that one machine fills a bottle of soda, and another machine checks to see that it contains between 11.9 and 12.1 oz. of soda (to comply with the legality of labeling it as 12 oz.) If x is the actual number of ounces of soda in the bottle, then the machine must ensure that abs(x - 12) < 0.1. That actually looks worse than it is. What we are saying is that the weight of the soda must not be more than 0.1 oz. above or below the target of 12 oz. If it's slightly off, we don't care if it's slightly higher or slightly lower. All we are concerned about is that the magnitude of the error is less than 0.1. 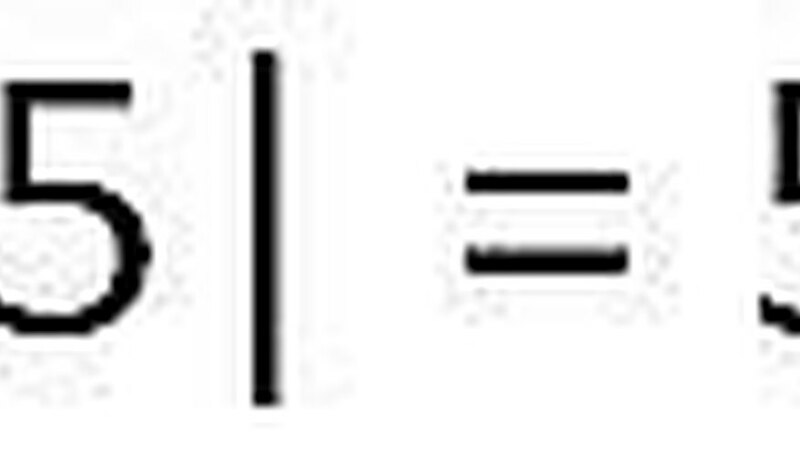 That is one example of a more advanced way in which we can use absolute value. 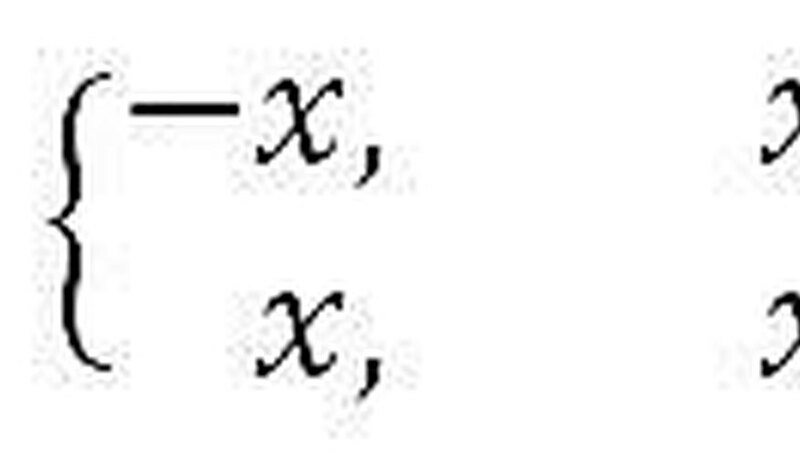 In fact, a problem that is very similar to this has appeared on an old SAT exam. For now, just make sure that you understand the very basic idea of how to compute an absolute value, so that you won't have trouble when you see it again in more advanced contexts. Contributor. "How to Find the Absolute Value of a Number in Math." Sciencing, https://sciencing.com/absolute-value-number-math-4748860.html. 24 April 2017.